Free Practice 1 + 2: In the first practice session the track was updrying. In the end Delétraz on a strong P 4, Tveter on P 13 and Malja´s first ever outing on this track on P 16. 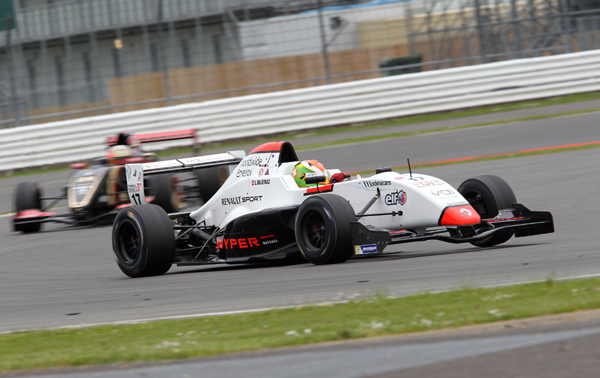 In the second session Malja showed a strong performance on P3. Delétraz ended P 15 and Tveter P 17. Qualifying 1 + 2: In the first qualifying it was dry. Malja again pretty fast on P 4. Delétraz and Tveter qualified themselves on P 13 and P 14. In the second qualifying it started to rain and the track was getting wet. Malja was unlucky with traffic in his both flying laps and ended up P 13. Delétraz and Tveter got along very well with the conditions and qualified P 4 and P 6. Rcae 1: In the first race Delétraz and Tveter finished the race around the places were they started as overtaking was nearly impossible. Delétraz P 13 and Tveter P 15 in the end. Malja was driving a strong race at front of the field. He as well wasn´t able to make any overtaking and finished P 4 finally. 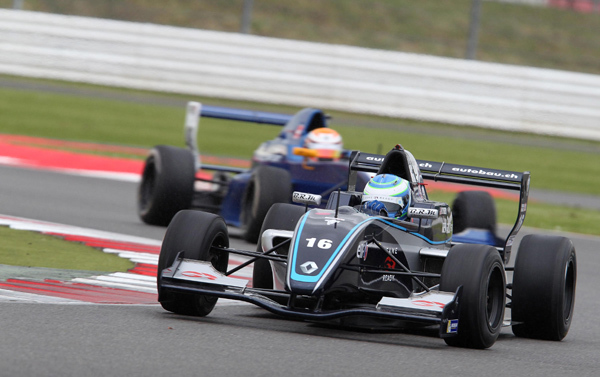 Race 2: In the second race, Malja was very unlucky being crashed out of the race in the opening lap. He had to retire with a badly damaged car directly. Delétraz was driving a strong race on P 4 untill two laps to the end an electronical problem caused an early retirement. Tveter drove a very good race and finished on a fine P 6.